What does the term "face card" mean in poker? What is the definition of the term "face card"? In poker, a "face card" is any Jack, Queen or King. 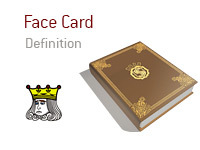 The term "face card" comes from the fact that the Jack, Queen and King all have faces, while the rest of the cards in the deck don't. You are playing in a local casino in a $2/$5 No Limit Hold'em cash game. One player is getting very low on chips and has already indicated that he is planning on leaving after he busts out. He pushes the rest of his chips into the middle pre-flop, and everybody but the big blind folds. The player who pushed flips over K-Q offsuit, while the player who called turns over pocket Threes. The player with K-Q screams, "come on, face cards! 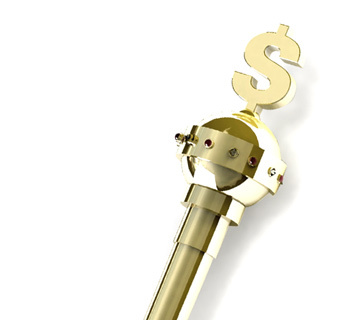 ", as a Queen or King would dramatically improve his chances of winning the hand. The dealer flips over a King, the short stack takes down the pot and more than doubles his stack.